The “on the ground” knowledge to provide the necessary information that supports research and outreach efforts. Discover the possibilities and benefits from the different type of vehicles and applications. Information about the different parts and components, ranging from compressors to nozzles and hoses. Valuable tools and resources ranging from financing, grants, code, directories etc. 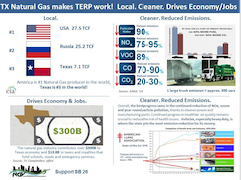 Raising awareness of natural gas vehicles to both policy makers and the general public. 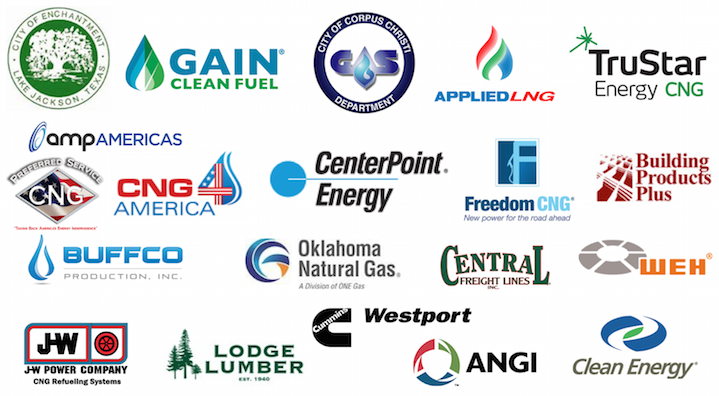 Providing leadership on the evolving natural gas vehicles marketplace, such as future infrastructure needs as well as environmental, economic and job creation benefits. Promoting the use and benefits of natural gas vehicles to public and private fleets in the Greater Houston area. Spain Plans 100 Percent Renewable Power by 2050! Second Opinion: Are EVs actually green? Does the world need a Tesla truck? ALT-FUEL SCHOOL BUS GRANTS: TO USE OR NOT? Natural Gas Is Heading For $3 Again: Will It Make It And Go Higher? Global Automotive Natural Gas Vehicle Market 2016- AB Volvo, Beiqi Foton Motor Co. Ltd., Dongfeng Motor Group Company Limited. Industry fires back against environmentalist "Oil & Gas Threat Map"
The First-Ever Tri-fuel System for the Ford F-350 4x4 Vehicle From Niyato Industries Inc.
CNG SOURCE announces the launch of CONQUEROR, the new line of CNG Daughter Stations. Agenda of upcoming events organized by the TXNGVA. By registering to the monthly newsletter, you can receive alerts about these and other events related to the industry. Check out our NGV fact sheet.